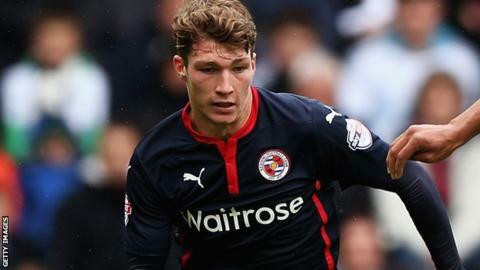 League Two side Barnet have signed Reading midfielder Jack Stacey on a short-term loan deal. The 19-year-old made six appearances for the Royals last season, but has not featured for the Championship club in the current campaign. "This is good development opportunity for me, but I just want to come here and help Barnet move up the table," he told the club website. "Hopefully I'll be a creative player who can produce goals for the team." Barnet, who are currently 17th in League Two, have not disclosed the length of Stacey's stay at The Hive. Find all the latest football transfers on our dedicated page.